"Every maze has an end." 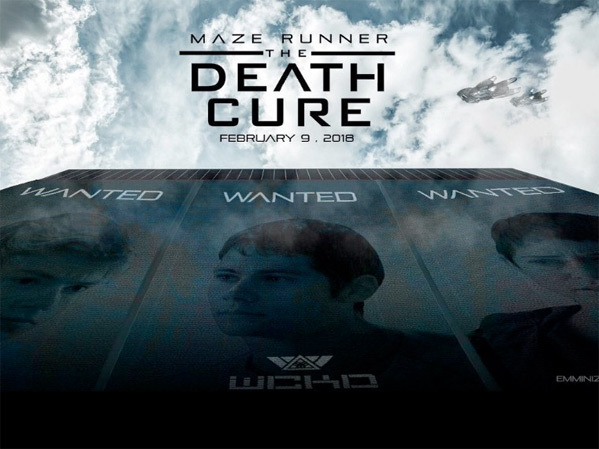 20th Century Fox has finally unveiled the first teaser trailer for Maze Runner: The Death Cure, the third and final movie in the sci-fi series. This series had a small, humble beginning with a movie about a giant maze, then blew up into something much bigger with the second movie, The Scorch Trials, released in 2015. It definitely seems to be following in the footsteps of The Hunger Games, but there's an edge to it that makes it stand out in its own way. Dylan O'Brien stars as Thomas, and the full cast includes Kaya Scodelario, Walton Goggins, Nathalie Emmanuel, Katherine McNamara, Thomas Brodie-Sangster, Rosa Salazar, Giancarlo Esposito, Patricia Clarkson, Barry Pepper, Ki Hong Lee, and Jacob Lofland. My first impression is that this actually looks pretty damn cool. Enjoy.